I love Fall. I love pretty much everything about it. As a child, I loved shopping for school supplies. Now, I love Fall fashion, chunky sweaters, hearty meals and warm drinks. I love this time right before the Holidays, when you go from putting pumpkins on your porch to trimming a tree that fills the room with the scent of Christmas. However this year things are different. For the first time in my life, I am not looking forward to Fall. This Fall, I am going back to work, and my baby will turn one. This is far from being tragic, but this year with my son has flown by so quickly and as cliché as it sounds I am really wondering where the time has gone. I am a little apprehensive about going back to work, especially because I don't adore my job and now that I have a child, it is time I work on making a career for myself. I strongly feel like this change will also bring new opportunities, and a different kind of fulfillment. And so, I am trying really hard to embrace Fall and all the little pleasures that come with it. 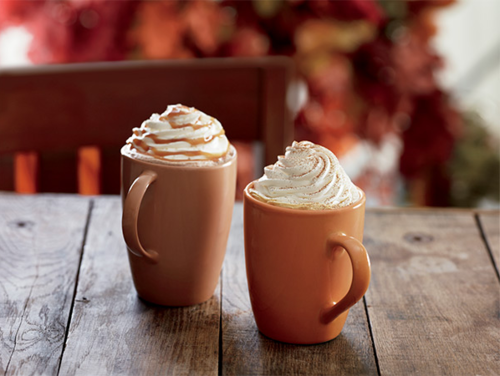 Scarves, riding boots and Pumpkin Spice Latte anyone? (Call me crazy but I actually don't like the latter!). In the meantime, I enjoy every second I get to spend at home with my baby. Happy September!